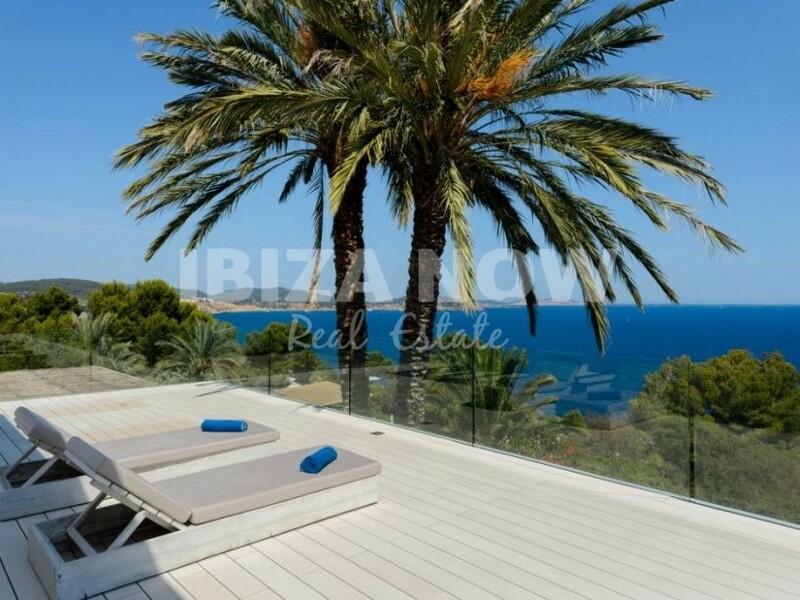 Amazing 5 bedroom villa for sale in Es Cubells, Ibiza. This beautiful large 5 bedroom villa is located in a private urbanization on the frontline of Es Cubells. 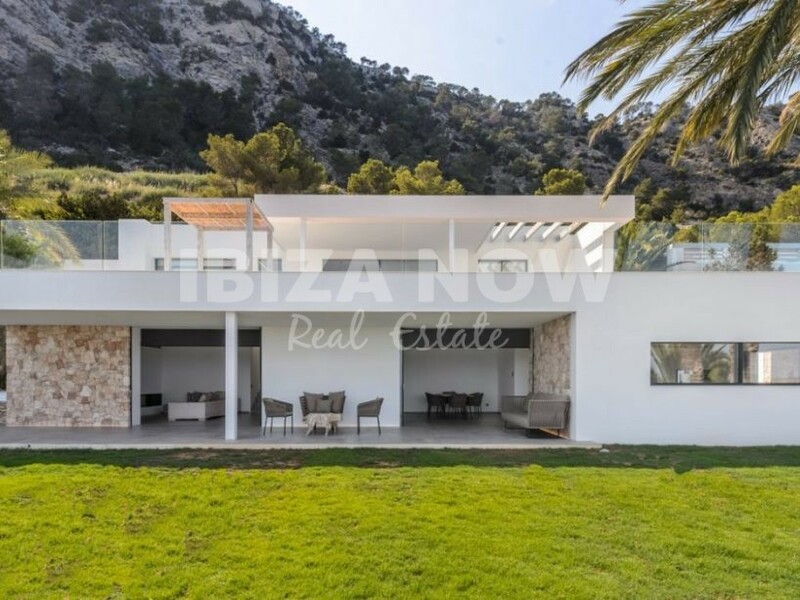 This wonderful villa is set on a corner plot of 5000m2 and has 600m2 built over 2 floors. From each room, you have the most stunning sea views. 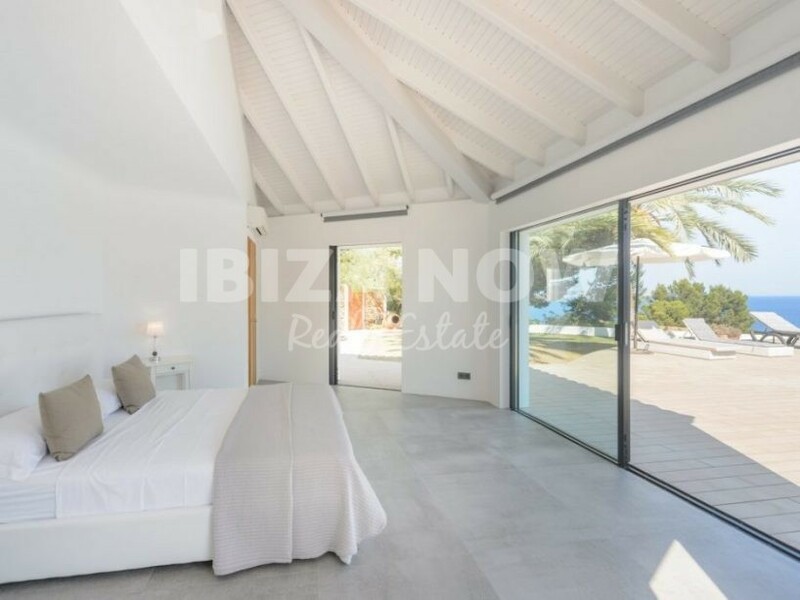 On the top level of the villa, we find a double bedroom with ensuite bathroom, a twin bed with separate shower room and the master bedroom with ensuite bathroom. On this level, we find the annex with another double bedroom with ensuite bathroom. All bedrooms have access to a large terrace a garden space. The fifth bedroom we find next to the pool area, also with ensuite bathroom. On the lower level of the house, we have the large living and dining area and kitchen. From here you have direct access to the large terrace offering the most beautiful sea views. The pool area is situated on a lower level of the plot and is easily accessible by a small set of stairs. More photos available on request.